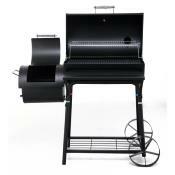 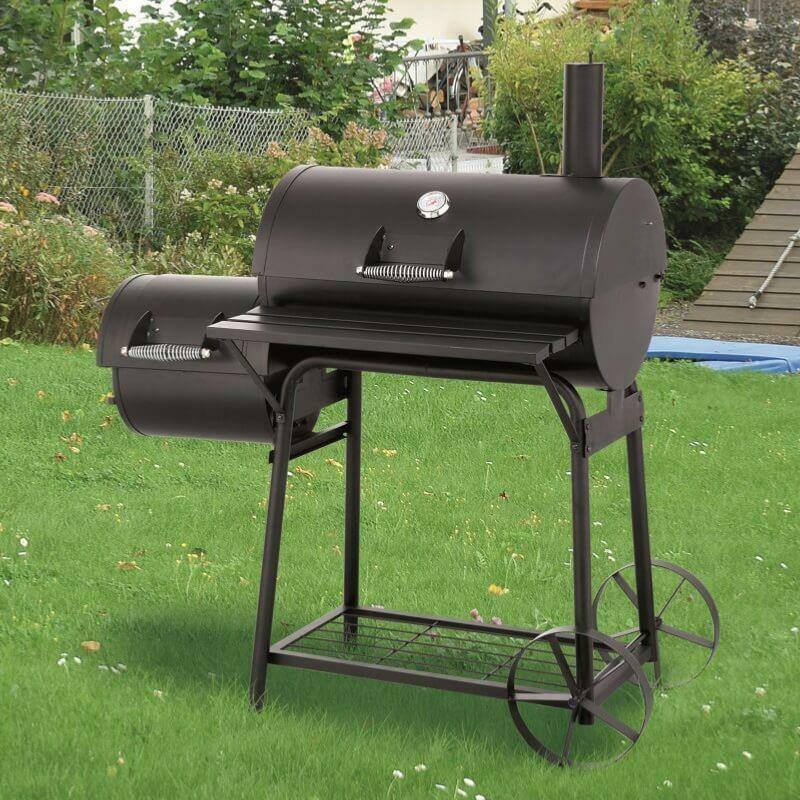 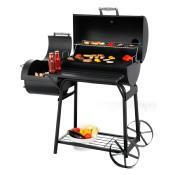 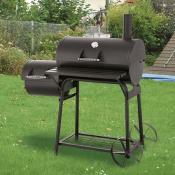 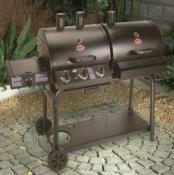 This offset BBQ Smoker is a real eye-catcher which you can use to smoke and exciting recipes. Grill over a bed of hot coals or smoke using the forebox and cooking chamber. 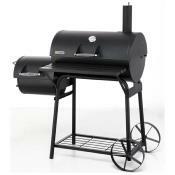 You don't need to a be a professional barbecue chef to produce delicious smoked food. Taste the food of the Wild West at your next garden party barbecue. Family and friends will love the rustic flavour of smoked food from the Biloxi BBQ Smoker. 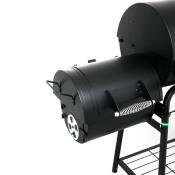 Try different types of smoking woodchips and wood chunks to bring new and exciting flavours to your food. 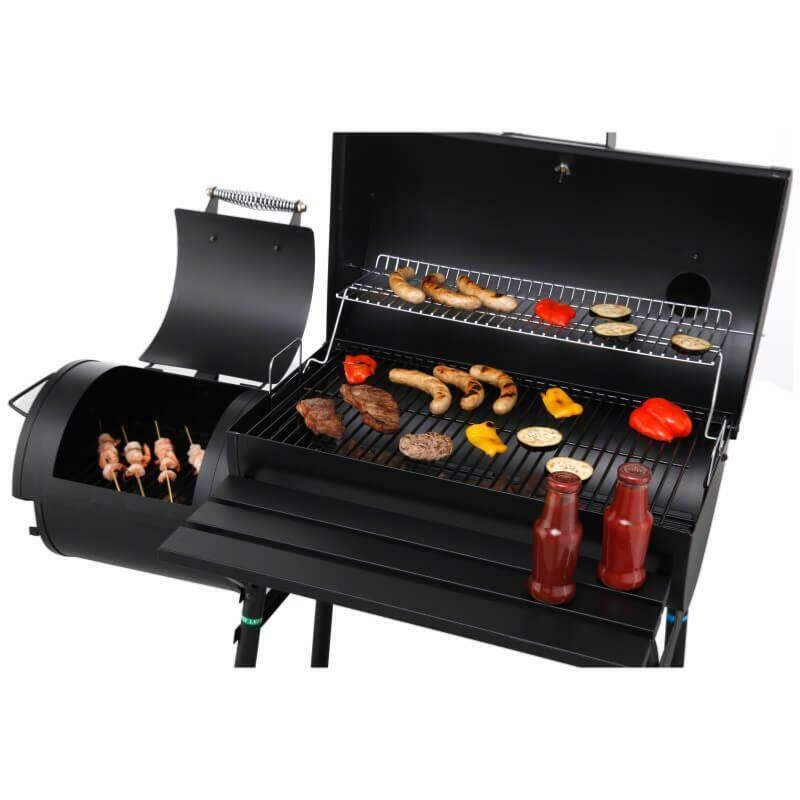 Control the heat and flavour intensity of the smoke by using the built in convenient vents and the lid's built-in thermometer. 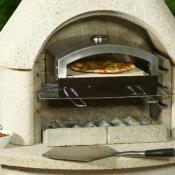 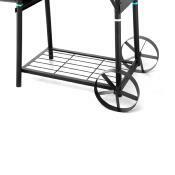 Easy to move with its built in wheels, so barbecue wherever you want, in your garden or on your patio. 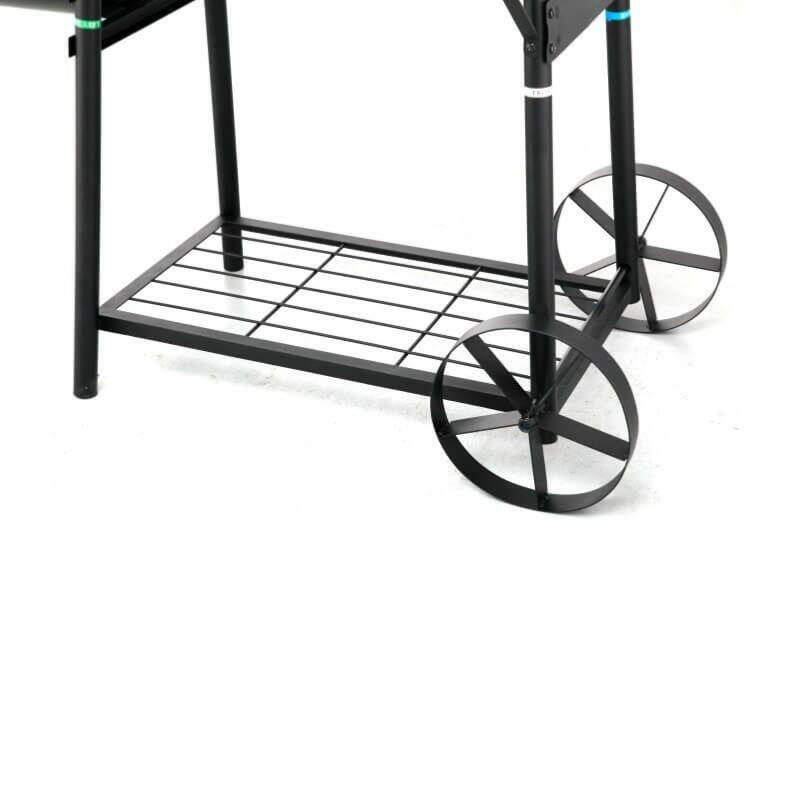 Enamelled cast iron cooking grids ensure a great chargrilled taste when grilling burgers, chops and steaks. 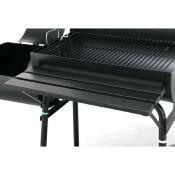 MAIN CHAMBER: Grill 58 x 40cm, Warming rack 58 x 21cm. 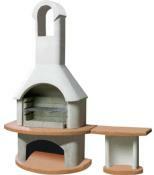 Foldable front shelf of main chamber with tool hooks included. Extra heavy duty metal up to 5mm thick with heat resistant finish.